The Trivedi Effect is the Life Force, a universal consciousness that can change living organisms and non- living materials at the cellular, molecular and atomic levels. It can be harnessed and transmitted through thought intention, having the intelligence to be specific to the needs of a given subject. This Divine grace is so powerful; it can affect the abilities, and enhance the potential of living organisms, creating health, happiness, joy and prosperity; and for individuals to realize their highest purpose. Mr. Trivedi is a man with extraordinary abilities and physicality. He has discovered The Trivedi Effect, the Life Force that heightens consciousness, uncovers our gifts, and guides us in different areas of our life. His energy transmissions enable individuals to experience deeper, refreshing sleep, better relationships and enhance physical, mental and emotional health. Mr. Trivedi has more than 4000 experiments validated by cutting edge scientific technologies; contained in various research institutes and universities in United States and around the world. He has been documented in 350+ peer review journals, in many research areas such as agriculture, human health, cancer, biotechnology and genetics. Mr. Trivedi’s scientific research is extensive and ongoing with his results truly astonishing the scientific world. These energy transmissions, the Life force, can benefit individuals of any age, gender, race, socio -economic or other identities, as it connects the recipient to the God of their understanding, nature’s wisdom. It targets the root cause of weaknesses of the individual in areas of greatest need, in any given moment. The healing is from the inside out. This higher consciousness energy has innumerable, positive outcomes. It is Divine Energy which has its own intelligence, and will target the areas in your life where it is needed. This Life Force has the unlimited potential to affect the physical, mental, emotional, and spiritual and environmental arenas. People have noted improvements in the connection to the God of their understanding, financial success, less fear from the future, increased energy and mental alertness, deeper sleep, calmness, peacefulness, healing of physical ailments, and an overall feeling of joy and wellbeing, to name a few. 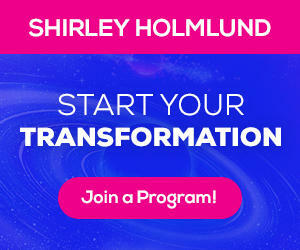 Shirley has been validated through rigorous, scientific experiments, conducted by a well -known research institute, demonstrating her ability to affect change in living organisms and non-living materials. She has studied with Mr. Trivedi for several years, and along with her colleagues, has uncovered her gift to harness and transmit Life Force energy. These experiments are documented in peer review journals, and in various university libraries, in United States and around the world. She has conducted one experiment with her peers on human health, and two individually; one on skin care, and one on the bioavailability of Vitamin D3. Results are pending on the 4th individual experiment, the bioavailability of nutraceuticals in the body, specifically of bone, liver, heart health, memory and cognition, dysmenorrhea, and Vitamin D3 metabolism. Shirley is not a doctor and cannot give medical advice. This is not a substitute for a medical doctor’s orders, or prescriptions; even though relief from physical, mental, and emotional health issues have been experienced. It can enhance the effectiveness of any medical routines you may have in place. There is no need to do anything if you are receiving a transmission during the night. However, if you are getting a remote transmission at a prescribed time, go into a room alone, sit in silence and relax. You can lay down, as well, making sure the spine is straight. How one feels, varies for each individual. Sometimes people have an immediate result, while others take longer to notice the effects of the transmission. When this energy starts working, it can be slow but it is focused and deliberate. Sometimes a healing crisis can occur. When an energy transmission is received, it heightens one’s vibrational frequency. The body needs time to realign with the new vibration and may experience a variety of discomforts. This can manifest as flu like symptoms, excessive fatigue and emotional or physical pain. There can be an old injury that may have pain for a while, as the energy is healing the area. This discomfort is short lived and is the result of a dark area of your totality, receiving the light.